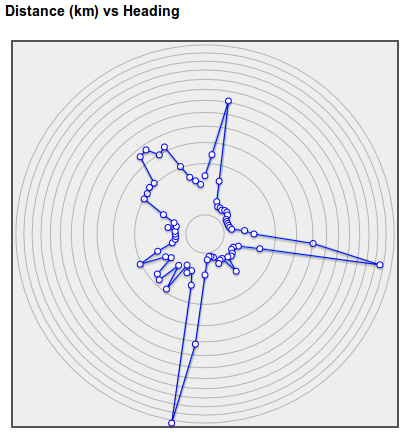 There's a new Wind Effect graph on the GPSLog Labs route details Other Graphs tab. 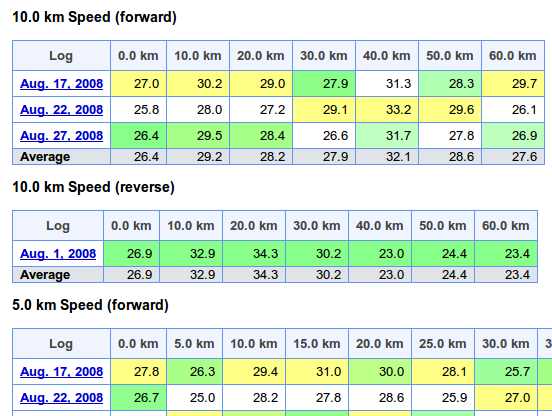 There are 4 lines plotting the relative effect on the overall average speed for the route for different wind strengths. The units are relative and indicative only. The wind model used is pretty primitive and assumes that a headwind has the same effect on your speed as a tailwind, but it's better than nothing. If anyone knows of any more sophisticated models that could be used, I'd be happy to look into it. 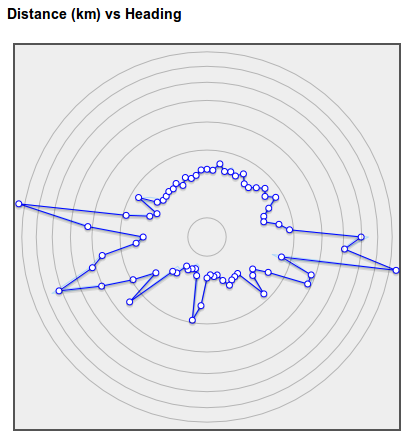 I've added a new tab to the route detail page in GPSLog Labs that compares the distance splits for all logs in the route. This allows you to see the speeds over each section of the route for each log. Each column is coloured to indicated min/avg/max in white/green/yellow respectively. This allows logs that are faster or slower than normal to be easily identified. For routes that display pace instead of speed, the pace over 1km (or mile) is displayed, i.e. for longer splits, it is not the time to cover the whole split distance.